The only course in Europe is situated near Newbury, Berks on the Mary Hare Grammar School campus. Mary Hare is partnered with the University of Herefordshire to offer this qualification. 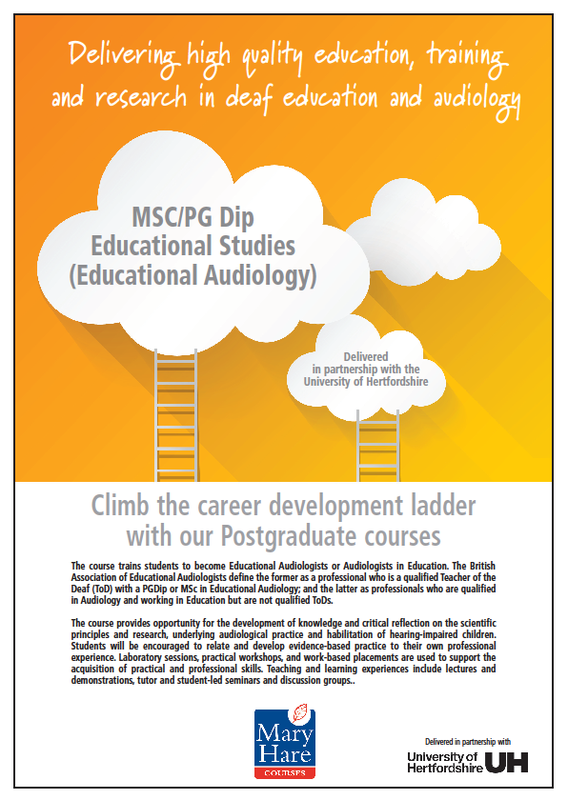 All students undertake a minimum of 120 hours work-based experience in a combination of NHS Audiology Clinics, and Education-based Audiology roles, supervised by well-qualified and experienced practitioners. Practice in the workplace is based on consolidation and evaluation of skills (by both the student and their workplace mentor) which forms part of the student's clinical log and reflective portfolio. Students provide on-going critical reflection related to their skills practice and learning needs. Practical skills training includes: pure tone audiometry, impression-taking (BSA certificate), FM balancing, hearing aid programming, room acoustics measurement and test box measurements. A degree or equivalent professional qualification and continuing DBS clearance is required. Typically, though not always, students hold a mandatory qualification as Teacher of the Deaf. All applicants must have two references including one from their current employer. The current employer must be prepared to support their employee as a postgraduate student by providing study leave and funding (as appropriate). Total cost per annum for a diploma is £3,900 which includes residential fees. The dissertation module is an additional £2,400 which includes residential fees for a night. Becoming an Educational Audiologist has opened more avenues and doors than I ever could have done with my Teacher of the Deaf (ToD) training alone, having worked as a ToD for many years. 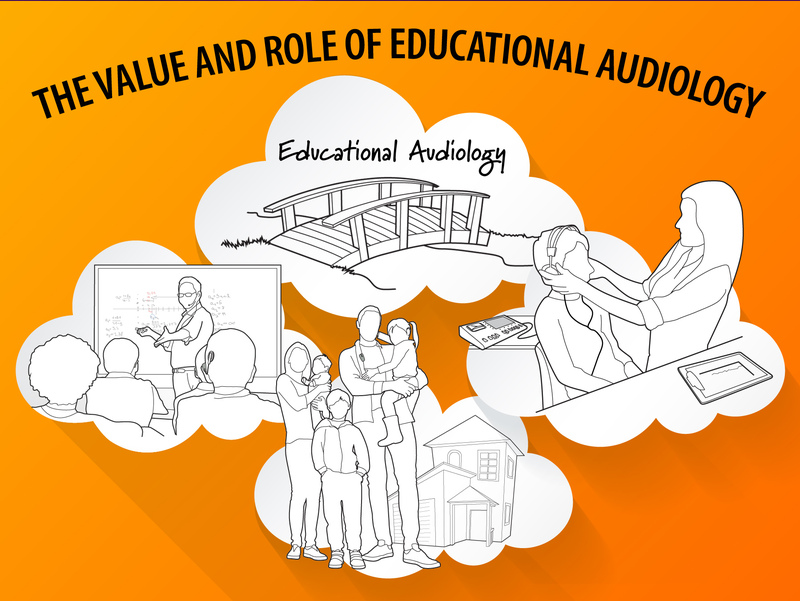 Educational Audiologists focus on the interplay of listening and technology with child development and have a unique liaison between Health and Education.